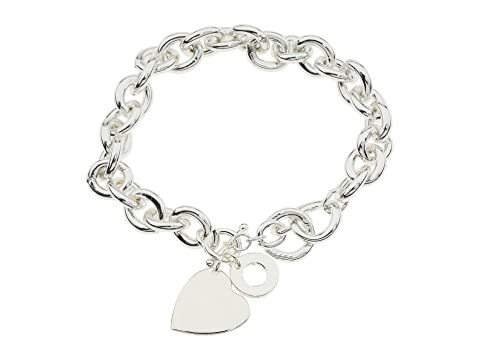 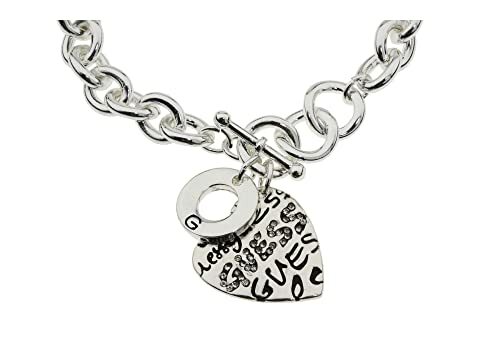 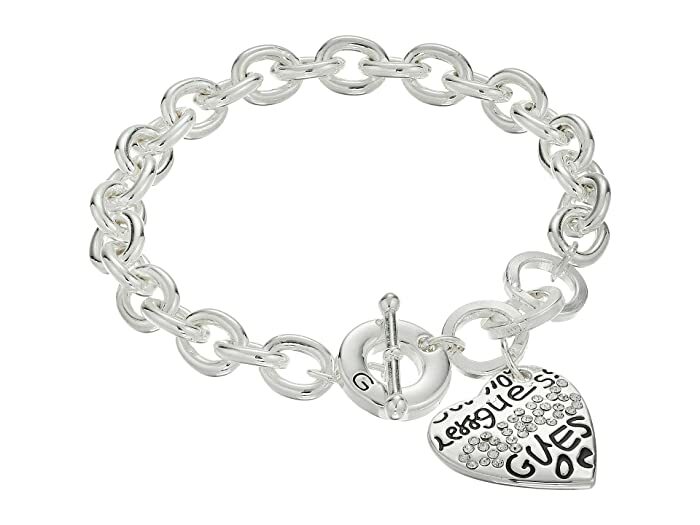 Let your true style radiate with this classic GUESS® charm bracelet. High-shine silver-tone finish with clear rhinestone accents on logo heart charm. 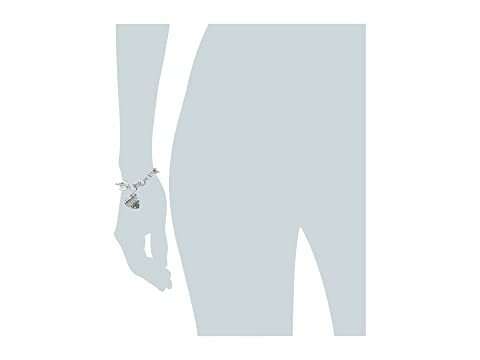 7 1/2" long with a toggle closure.